Compared to 2015, the U.S. solar workforce expanded a record-high 25 percent in 2016 as more than 51,000 new solar industry were created. That brought the sector-wide total as of year-end to 260,077, TSF highlights in a press release. 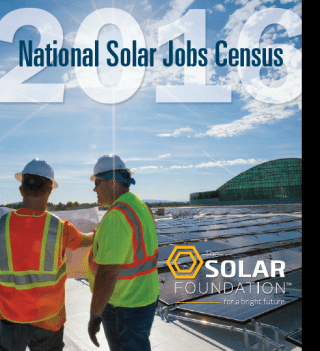 The statistics and information contained in TSF’s “National Solar Jobs Census 2016” offers much in the way of new evidence that can substantiate calls on President Donald Trump and his administration to carry on former President Barack Obama’s legacy of federal leadership and support for U.S. solar and renewable energy. “With a near tripling of solar jobs since 2010, the solar industry is an American success story that has created hundreds of thousands of well-paying jobs,” TSF president and executive director Andrea Luecke was quoted in the press release. “In 2016, we saw a dramatic increase in the solar workforce across the nation, thanks to a rapid decrease in the cost of solar panels and unprecedented consumer demand for solar installations. Geographically, the number of solar industry jobs rose in 44 of 50 states. More solar jobs were created in California than in any other state (no surprise there). Massachusetts, Texas, Nevada and Florida followed, in descending order of solar jobs created. A state by state tally of U.S. solar jobs, along with annual 2016 growth rates, is available on TSF’s SolarJobsCensus-dot-org. Solar sales and distribution jobs increased 32 percent with the addition of 32,147 new jobs. Digging further into the data, TSF highlights the growing numbers of U.S. military veterans working in the solar industry. Veterans of the U.S. Armed Forces make up 9 percent of the national solar industry workforce. That compares to 7 percent across the national economy, according to TSF. More American women and ethnic minorities are working in the U.S. solar sector as well. The percentage of women employed in the solar industry rose 3 percent to 28 percent year-over-year in 2016, according to TSF. The percentage of African-Americans in the U.S. solar workforce rose 5 points in 2016 to end the year at 7 percent, while the percentage of Latino/Hispanic Americans working in the solar industry increased from 11 to 17 percent. 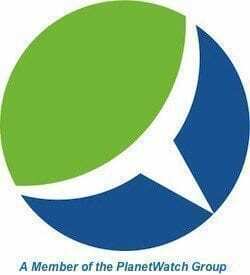 “It’s really a wide range of people that get hired into this industry, everybody from certified and licensed engineers to those who first learned about a solar project when we were building one in their area,” commented George Hershman, SVP and GM at Swinerton Renewable Energy. Whither Trump on U.S. Solar, Renewable Energy? GM’s Global Manager of Renewable Energy Rob Threlkeld expanded on the theme. “Renewable energy use translates to bottom-line benefits such as lower and more stable energy costs for GM in the long term,” he said in a statement. The success of ex-President Barack Obama’s administration in acquiring and applying federal funds and taking actions required to forge a comprehensive, integrated and solid federal policy platform and institutional framework has been seminal, and critical, to launching what is now a vibrant, vital and still fast-growing solar industry. More broadly, the solar, other renewable energy and cleantech sectors are poised to become mainstays of the U.S. economy and society. Donald Trump’s surprising presidential election victory cast a dark cloud over the outlook for solar energy in the U.S. Concerns persist, but various news reports and interviews with solar industry sources and other stakeholders reveal guarded optimism that President Trump will stay the course and carry on Obama’s legacy of open, equitable and steadfast support for U.S. solar. “President Trump clearly understands the power of competition, which aligns well with our goal of ensuring that solar energy can compete on a level ground with other energy sources,” SEIA vice president of communications Dan Whitten said in a recent interview.